WhiteBoard keeps on top of trends research, and never has it been so much fun than investigating the new Specialized Turbo e-bike! For years WhiteBoard and its staff have gained valuable knowledge by keeping on top of new product innovation from a wide range of product categories. The bicycle category is one of the oldest consumer product categories, and although the basic shape and size has not changed much in over 100 years, it is very diverse in its product offering. 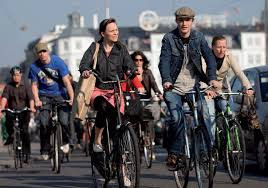 Bicycle manufacturers target an extremely wide range of consumers, in many different channels of distribution, at a broad range of price points. The amount of design and engineering that goes into the category is very large considering the size of the market. If there is a new material or manufacturing process, you can most likely find it in a bike shop. WhiteBoard keeps up on new innovations so we can apply what we learn from one industry to others. So when a game changer comes along, we want to be at the front of the learning curve, and the Specialized Turbo is a game changer. Electric bikes have been around for years, but a serious biker wouldn’t be caught dead on one. Until now. The Specialized design team took a “clean sheet of paper” approach and has created something truly special. First of all, the bike looks great just sitting there; and, upon closer examination, you notice the 250 watt motor built into the rear hub and that the oversized down tube is actually a removable Li-ion battery. In addition to the Turbo’s great looks, the performance is literally mind blowing. Get on. Make sure you have some clear road ahead. Press the pedal and the motor engages, smoothly propelling you to 20mph without even trying. “OMG” is the standard first thing that came out of our testers…followed by a grin that lasts well beyond the test ride. The harder you pedal, the faster you go, all the way to 28mph where the motor turns off and your are reminded that you are not Superman. So how does it work in the real world? Fantastic! A switch next to the shifter activates the 4 battery settings: full turbo, eco, regenerative, and off. Full turbo is obvious, the motor operates at full power and the battery is drained accordingly. Eco mode conserves the battery discharge and is factory set at 30%. It is programmable from 10% to 90%, which is essential because the battery management system defaults to eco mode when the battery capacity gets to 20%. WhiteBoard set the eco mode to 50% as riding the last few miles of your ride at 30% was a definite buzz kill. Regenerative mode kicks in automatically when you apply the rear brake. If used often enough, it can help extend the battery during your ride. Most of our rides get about 25+ miles of battery assist as you only really need full turbo to maintain full speed up a hill. Turning off the motor when going downhill enables you to get up over 28mph quite easily in 10th gear. The bike is very comfortable to ride, but because it is aluminum and has no suspension, you have to be careful of the road hazards. Serious road bikers play the game of seeing who they can run down or stay ahead of. Passing another serious rider always gives you a little extra boost to make sure you can put a gap between you and the rider you just showed who his daddy is. The Turbo comes with a bell, which makes it even more fun…and annoying for the biker being passed. At 28mph, closing speeds are pretty fast. So to optimize the effect you need to slow down, close slowly, draft for a moment, ring the bell and pass. Game over. Or not; if it is a serious rider it’s always polite to say “nice pull” and let them draft for a while, knowing that they are tanked after trying to stay ahead of you. And then you pull away – looking for your next victim. This won’t be nearly as much fun once the word is out, but for now it’s a riot as few riders know about the Turbo. WhiteBoard encourages employees to ride to work. We have a shower and company cars available to use during the day. 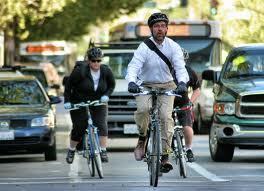 Most of us have a 10 to 20 mile commute and try to ride an average speed of 16mph. On the Turbo we can average about 26mph and sometimes a ten minute cool down is all you need, making a shower optional. Riding with a friend or significant other limits the pace to the slower rider. With two Turbos, the slower rider can run full turbo and the stronger rider can run eco, keeping the pace at around 26mph. You can even swap batteries if one rider is using more power than the other. The Lake Minnetonka loop is a great 20 mile ride and can be done in under an hour on a road bike. So why did the loop on the Turbo start at three in the afternoon and finish using the more than adequate head and tail lights 6 hours later? Simple really. There are four easy bar stops along the way: The Excelsior Brewery, The Narrows in Navarre, Gianni’s in Wayzata, and Spasso in Minnetonka. For now pedaling a bike while intoxicated is not illegal in Minnesota, but being responsible and keeping below .08 is still highly recommended. Let us know what you think of the Specialized Turbo, or e-bikes in general. Leave comments below. Your missing one persona…"The Mom" who wants cycling to be a part of her everyday life, but it would involve hauling two kiddos up and down HUGE HILLS! I think my bike-loving husband could handle the look of this bike! Awesome! 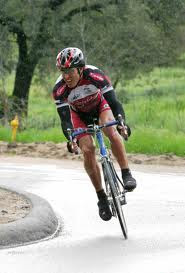 Serious road bikers play the game of seeing who they can run down or stay ahead of. Passing another serious rider always gives you a little extra boost to make sure you can put a gap between you and the rider you just showed who his daddy is. The Turbo comes with a bell, which makes it even more fun…and annoying for the biker being passed. At 28mph, closing speeds are pretty fast. So to optimize the effect you need to slow down, close slowly, draft for a moment, ring the bell and pass. Game over. Or not; if it is a serious rider it's always polite to say "nice pull" and let them draft for a while, knowing that they are tanked after trying to stay ahead of you. And then you pull away – looking for your next victim. This won't be nearly as much fun once the word is out, but for now it's a riot as few riders know about the Turbo. -This is hilarious! Love to see a video of someone pulling this off.